A French painter born in Le Havre in 1901, Jean Dubuffet had a successful career in the wine business until 1942, when he devoted himself solely to art. He was 45 when he had his first solo exhibition in Paris. 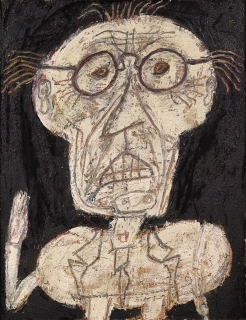 During the 1940's and 1950's, Dubuffet advocated an anti-cultural position, a nihilistic spirit in the context of war-ravaged Europe. In 1947, he arranged an exhibition of objects produced by children, the mentally ill, and psychotics, for which he coined the term art brut. Children's drawings, graffiti on slum walls, and the art of the insane share an intuitive spirit, relying on the inner world of the creative mind while rejecting the more traditional purposes for making art. 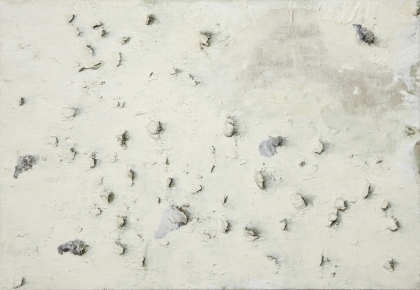 Emulating these 'outsider' works, Dubuffet made the assemblages of the 1950's from glue, plaster, putty and asphalt embedded in gravel and broken bottles. 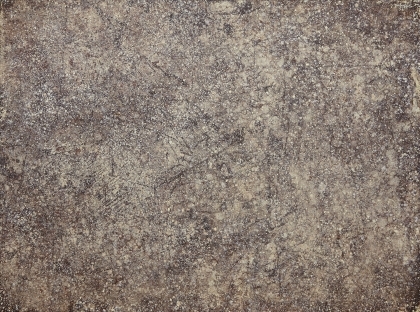 The surfaces were scribbled on and scratched to give the impression of graffiti-like walls. In the 1960's, Dubuffet produced a series of paintings that resemble jigsaw puzzles in which tiny figures are enclosed in spaces, and large painted polyester resin sculptures. All of his work stands aesthetically somewhere between the beautiful and the awkward, the sophisticated and the mundane, and the sane and the insane, but it all displays intense vitality and humor. In my early days as an art market reporter, London’s most powerful dealer in modern art, Leslie Waddington, told me that, in his view, the most important 20th century European artist, after Picasso, Leger and Miro was Jean Dubuffet. It seems that when Jean Dubuffet is mentioned, it's almost always in the context of Outsider art, a field that he helped define and promote and that is currently enjoying a surge of interest. 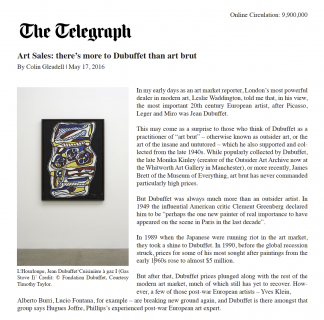 But Dubuffet was a major artist in his own right, and an ehxibition opening this month at Acquavella Galleries in New York aims to put the focus back on the man himself and his subversive creativity. 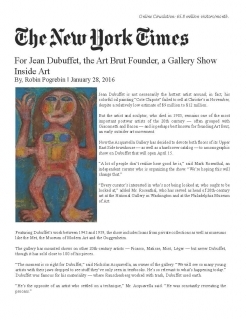 If you're feeling down on you art career, read a little about Jean Dubuffet and take comfort. A French wine seller until he was 40, the artist didn't even show his work until he was 45, yet he became one of the more unique stars of the Modernist era. 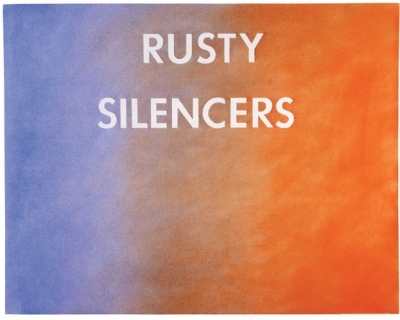 He began by championing the work of children and teh clinically insane in exhibitions he curated, but later began emulating these works as a sort of anti-social aesthetic study, if you will. 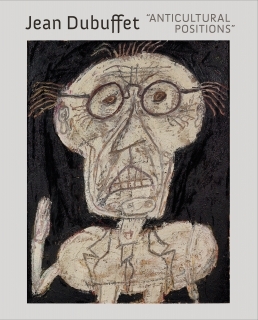 This survey, which was organized by Detroit Institute of Arts' curator Mark Rosenthal, focuses on Dubuffet's first forays into art making and will draw works from the Met and the Guggenheim, as well as a slew of private collections. It's the first survey of his early work in over 20 years, so you might want to stop by. But the artist and sculptor, who died in 1985, remains one of the most important postwar artists of the 20th century — often grouped with Giacometti and Bacon — and is perhaps best known for founding Art Brut, an early outsider art movement. 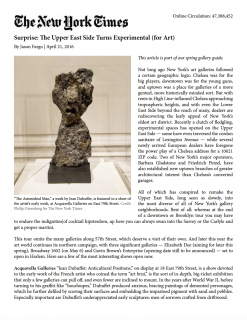 Now the Acquavella Gallery has decided to devote both floors of its Upper East Side townhouse — as well as a hardcover catalog — to a monographic show on Dubuffet that will open April 15. “Every curator’s interested in who’s not being looked at, who ought to be looked at,” added Mr. Rosenthal, who has served as head of 20th-century art at the National Gallery in Washington and at the Philadelphia Museum of Art. Featuring Dubuffet’s work between 1943 and 1959, the show includes loans from private collections as well as museums like the Met, the Museum of Modern Art and the Guggenheim. The gallery has mounted shows on other 20th-century artists — Picasso, Matisse, Miró, Léger — but never Dubuffet, though it has sold close to 100 of his pieces. 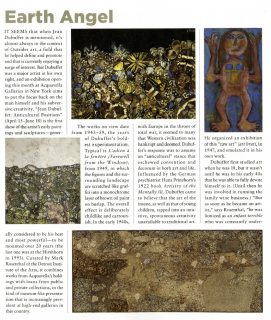 Dubuffet was famous for his materiality — where Rauschenberg worked with trash, Dubuffet used earth.